Paul Ryan and Tim Scott announcing South Carolina poverty summit: Kemp Forum on Expanding Opportunity will try to get Republicans talking about solutions for poor Americans. Paul Ryan wants Republicans to have a serious conversation about ending poverty. Rep. Paul Ryan is interviewed by former Republican presidential candidate Mitt Romney at the Union League Club of Chicago on Aug. 21, 2014. Ryan and Romney were on hand to promote Ryan’s new book, The Way Forward. Ever since he was tapped as Mitt Romney’s vice presidential candidate, Rep. Paul Ryan has been trying to start a conversation among Republicans about poverty. As a candidate in 2012 he held an event in Cleveland with ministers to explore the roots of poverty but didn’t hold any more, in part because the Romney campaign wanted his focus elsewhere. After the campaign, he launched a low-key multicity tour of poor neighborhoods with the guidance of Robert Woodson, founder and president of the Center for Neighborhood Enterprise. It became the backbone of his recent book The Way Forward. The people Ryan met became the characters in a seven-part documentary called Comeback. The documentary came out about the time I was attending a GOP forum in Iowa where candidates had all gathered to talk about agricultural issues. I spent the day before the event with staffers for Catholic Charities looking at the part of Iowa that we never visit with the presidential candidates—the food pantry where people come from across the state to get a box of groceries or the temporary housing where families come in from the cold. It occurred to me that the next logical extension of Ryan’s mission would be to launch a poverty summit, so I wrote a story making that case. 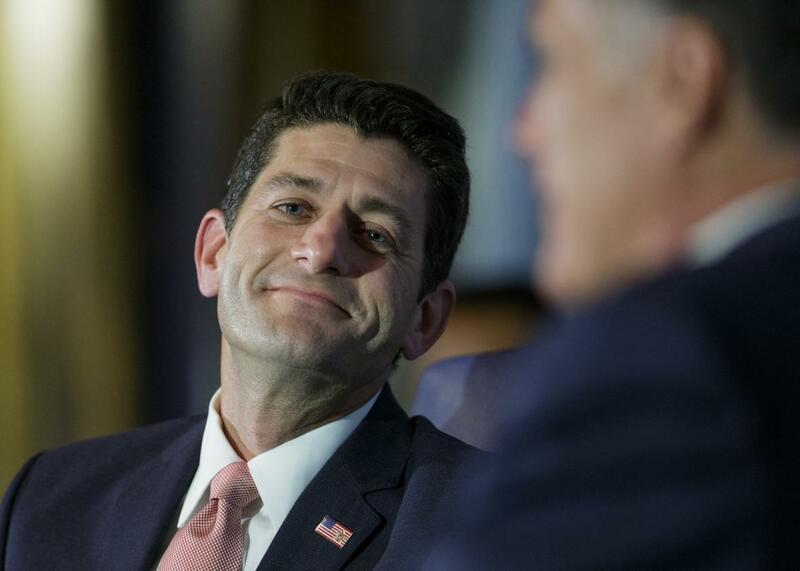 Republicans, and Ryan in particular, are anxious to show how conservative ideas can transform the lives of the estimated 45 million Americans living in poverty. But we know what it looks like when candidates focus on an issue—take immigration for example—they mention it at every stop. They make trips to the border. They print T-shirts boasting about their positions. But there’s almost no talk of poverty on the GOP campaign trail. If candidates were really interested in presenting their views on the issue—either because it is substantively important or because it is politically helpful to the brand—then the least they could do would be to gather for a summit of the kind that had drawn them all to speak to those corn farmers. Now it’s happening. On Monday, Ryan and Sen. Tim Scott will announce that they are hosting the Kemp Forum on Expanding Opportunity. Named after former representative and Housing and Urban Development Secretary Jack Kemp, the forum will take place on Jan. 9 in Columbia, South Carolina. It will feature presidential candidates, scholars, and community leaders to make the case for conservative solutions to poverty. Naming the gathering after Kemp echoes the former congressman’s efforts to do what Ryan is trying to do. Kemp even tried to do it when he was Bob Dole’s vice presidential nominee. He traveled to Harlem in New York, Watts in Los Angeles, and the South Side of Chicago preaching the gospel of free enterprise. Green is the color of civil rights, he used to say, meaning the money that came from free enterprise. Much like Ryan, Kemp was ultimately discouraged from appealing for votes in poor neighborhoods where there weren’t many Republicans. Ryan, as a Catholic, has nicely timed the announcement of the summit to coincide with the arrival of Pope Francis who brings with him his message of service to the poor. The forum could be an opportunity to wrestle with issues that don’t get discussed much on the campaign trail—what role individual responsibility plays in poverty and how much of it is the result of systemic forces. Also, as budget chairman, Ryan proposed some modifications to the safety net that his critics claim would devastate the poor. If the presidential candidates come to engage with these topics, it will perhaps interrupt for a brief moment the campaign circus. Ryan has his work cut out for him though. Farmers in Iowa vote. The poor is not a constituency that votes or is likely to support the candidates in large numbers in early primary states like South Carolina. Though Ryan has lots of ideas about how to reduce poverty in our society, his first challenge is reducing the poverty of conversation about it.